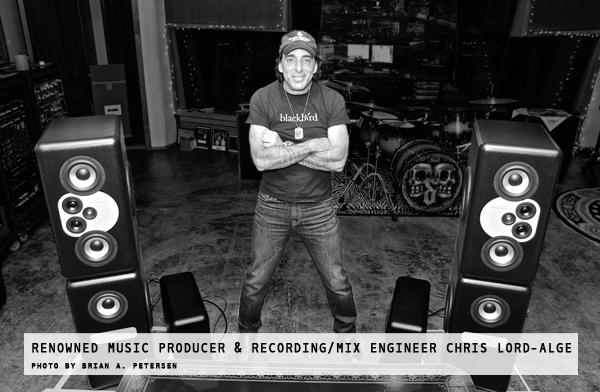 MasterStack12 is the choice for top professionals and studios, including renowned recording/mix engineer Chris Lord-Alge, Mix With The Masters Studios La Fabrique, and mega producer/DJ, Skrillex. 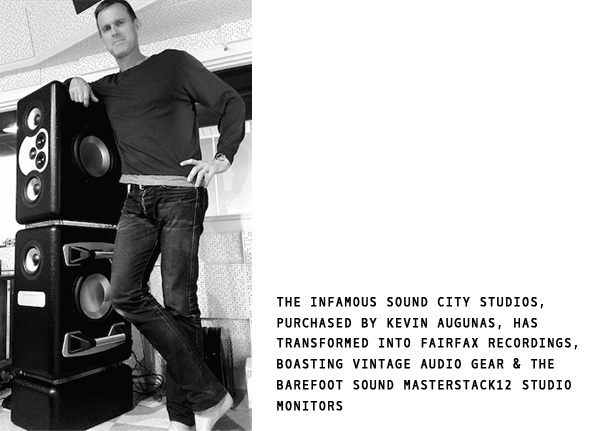 Over a decade ago, Thomas Barefoot applied his expertise and experience as an engineer, scientist and inventor in the computer industry to his lifelong passion for music. Approaching the pro audio industry with a fresh pair of eyes, he concluded that every project would benefit from using monitors with the same sound quality, dynamic range and bass extension at each stage of the production process. 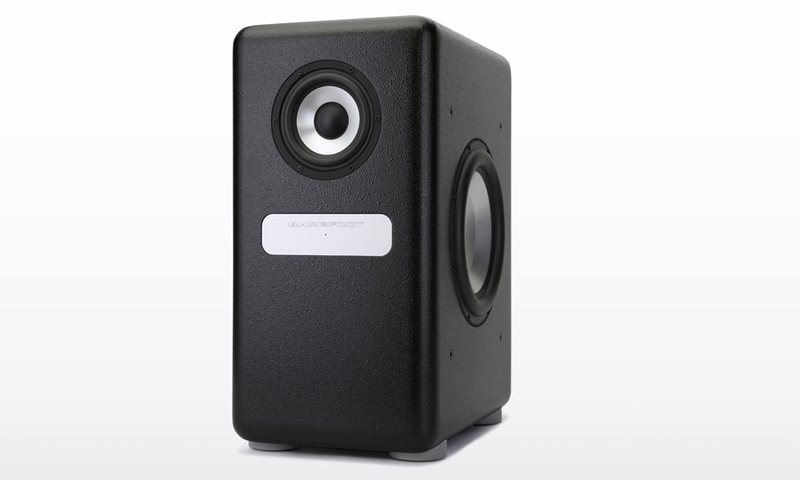 The innovative reference monitor designs that Thomas subsequently developed not only deliver the same performance and quality from recording through mastering, they also turned the studio monitor speaker business on its head, outperforming many well-established high-end products. 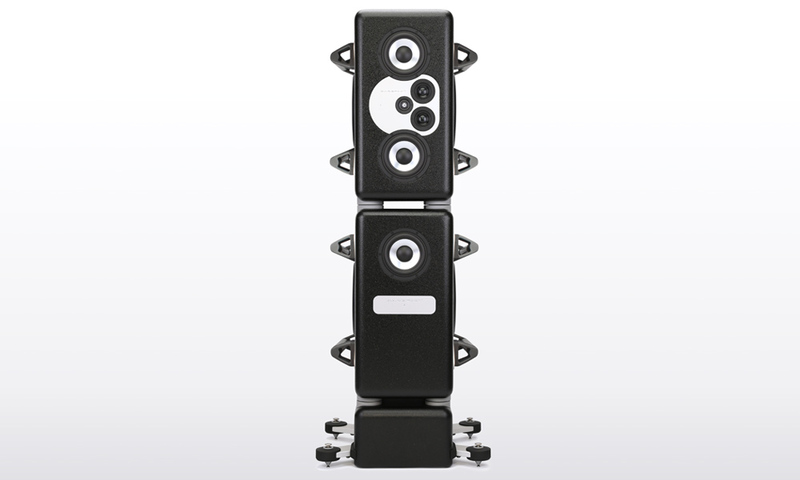 The MasterStack12 represents the pinnacle of Thomas’ achievements in monitor speaker design to-date. 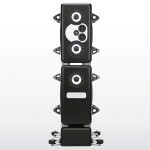 Barefoot’s flagship reference monitor system is a 4.5-way active modular tower with 10 drive units — a 1-in. 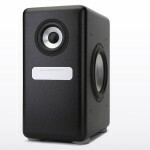 ring radiator tweeter, two 2.5-in. mid-range, three 7-in. woofers and four 12-in. subwoofers — housed in two cabinets. 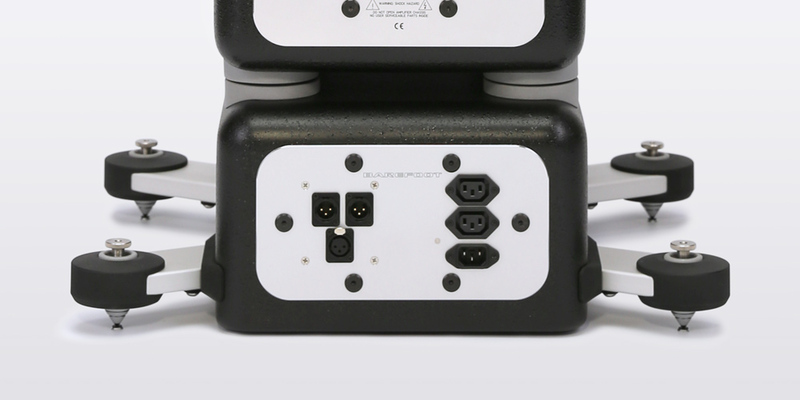 A third enclosure houses signal and power distribution and may be optionally used as a decoupling base unit for each tower. What is a 4.5-way system? In a typical 4-way system, subwoofers, woofers, mid-range drivers and tweeters all operate within discrete frequency bands, transitioning from one to the next at the frequencies set in the crossover networks. In the MasterStack12 system, all three woofers work together in the lower frequencies of the band, down to the frequency at which the subwoofers take over. 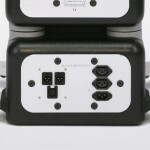 But only two woofers extend up to the mid-range band crossover point. 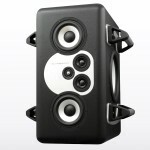 Having three woofers working together in the lower portion of the band offers lower distortion through greater efficiency. At higher frequencies, where the signal becomes increasingly more directional, there is a smooth transition to the wider dispersion pattern created by just two woofers. 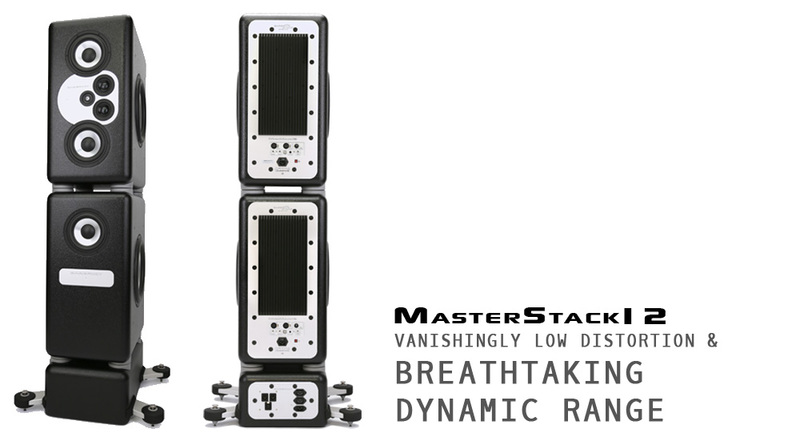 Like all Barefoot monitors, the MasterStack12 features revolutionary MEME™ (Multi-Emphasis Monitor Emulation™) technology, which harnesses sophisticated DSP modeling to mimic the frequency, phase, transient response, dynamic compression and distortion characteristics of various classic nearfield studio monitors. Many people still like to reference their work on old, familiar monitors to check how their mixes will translate or to focus on a specific aspect. 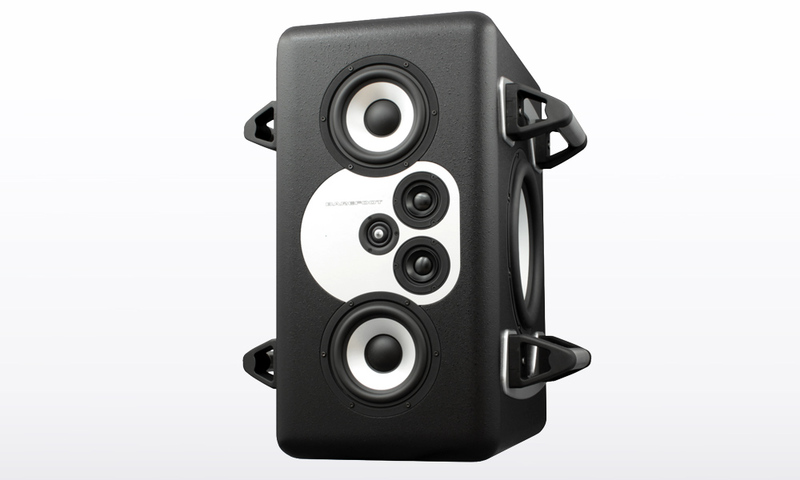 But with Barefoot monitors you can put those other reference speakers into storage and free up some space on the console, because one set of MasterStack12 monitors can take the place of three alternate pairs. 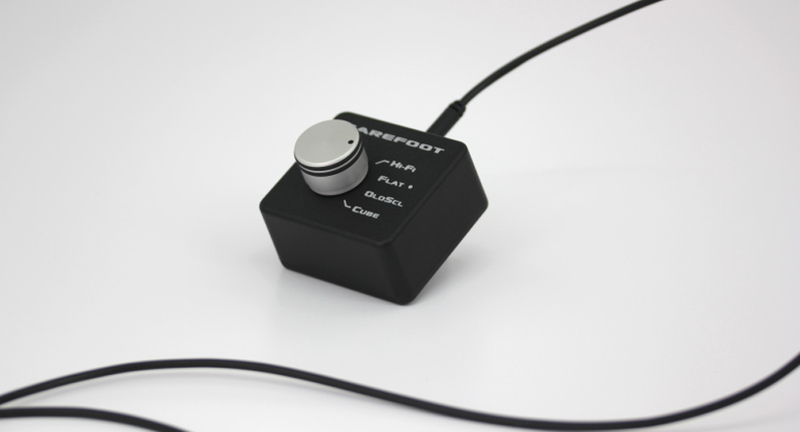 Using a wired remote you can switch your Barefoot monitors through four different voices and preview your mix as it would sound through three alternate reference speakers, all without moving from the optimum stereo listening position. “Old School” rolls off the extreme highs and lows and brings the mid-range presence forward, capturing the essence of the NS10M. “Cube” is an homage to the classic full-range micro-monitor and is a useful reference setting for any mix that you expect to be played on earbuds through a laptop or handheld device. “HiFi” behaves like a home audiophile speaker, warming up the mid-range and sweetening the highs, for client playback or just listening in the control room. “Flat” selects the true, revealing Barefoot sound. 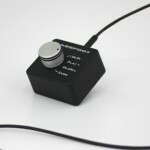 † NS10M is a trademark of Yamaha Corp. and has no affiliation with Barefoot Sound. Cabinet: 180 liters total internal volume, Sealed sub enclosures, Sealed woofer enclosures, Sealed woofer enclosure, Machined aluminum baffle plate, Aluminum subwoofer frames function as lateral cabinet bracing, Long fiber wool acoustic damping throughout.